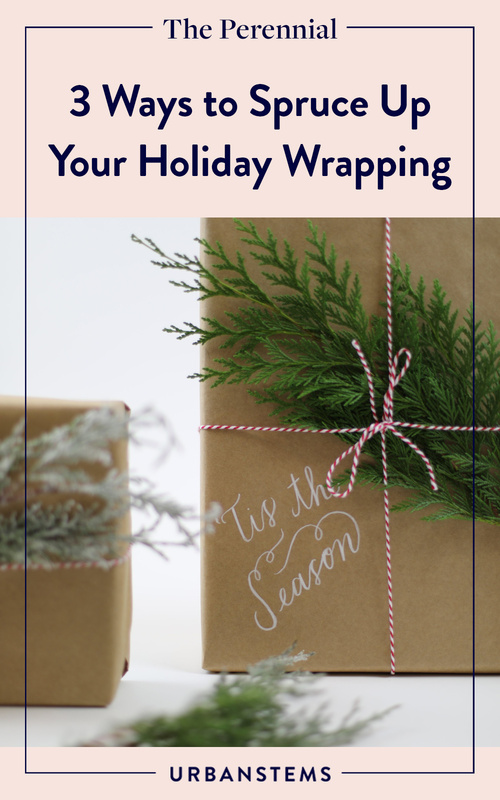 Your shopping is all done, but now comes the hard part: wrapping. Thanks to a few sprigs and berries found in our bouquets, you can upgrade your gifting game in the prettiest of ways. We took sprigs of frosted pine from our Alpine bouquet to give kraft-wrapped gifts a simple but festive look. Snip off some berries from our Jackie bouquet or a show-stopping flower and wrap them in twine. Found in our Tinsel bouquet, a few sprigs of eucalyptus not only looks pretty, but dries out really well.